So far this year, the JTTF has investigated more than 270 threats in Oregon - often based on tips from community members. At a briefing Tuesday in Portland, the FBI discussed at length the role of Oregon's Joint Terrorism Task Force, a partnership between local and federal law enforcement agencies. Senior federal law enforcement officials are anticipating a fight with Portland City Hall as early as next month, when Commissioner-elect JoAnn Hardesty is sworn in to the City Council. Hardesty has said her first act in office will be to push for a vote to remove Portland from the law enforcement partnership. Seven local law enforcement agencies work as a part of the JTTF. Two Portland Police Bureau officers work out of the FBI on a part-time basis on threats of violence to the city. 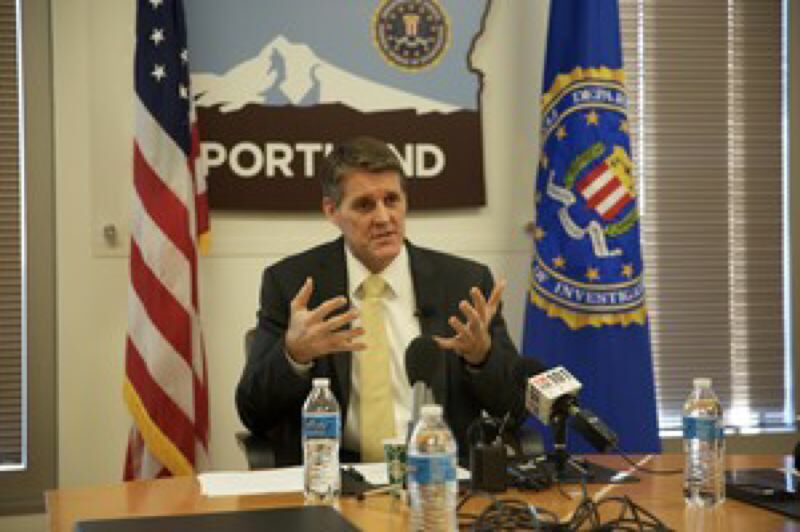 On Tuesday, FBI Special Agent In Charge Renn Cannon said the city and the state as a whole are safer with Portland as part of the JTTF. He said the officers on the JTTF serve as a conduit between the FBI and their local departments. That would change if Portland votes to pull out.